WEEZEVENT is a web based event technology service offering the oppor­tunity to Promoters to sell Tickets for Events. WEEZEVENT is merely an inter­me­diary acting under a contract by which it has the power to publish, manufacture, sell tickets on behalf of the Promoter. 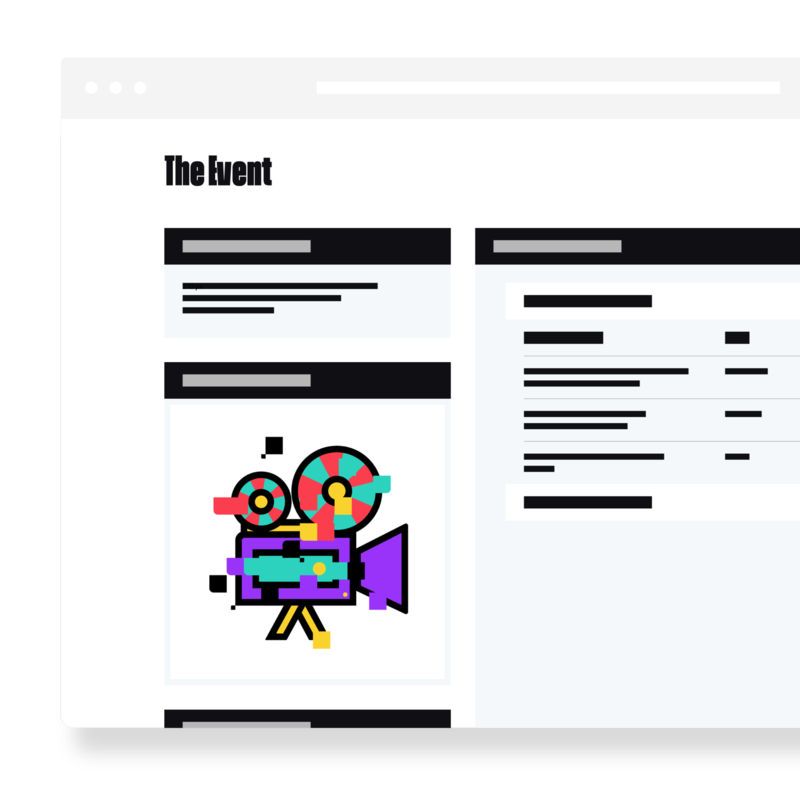 Therefore, WEEZEVENT only acts as an event technology provider without inter­fering in any way with the organ­isation of the show or the Event itself. Promoters are therefore fully responsible for the conduct of Events. Bookings are made in real time on WEEZEVENT servers based on the Event details and rules set by the Promoter. In this context, you are informed in real time of the avail­ab­ility of the Tickets. These General Terms and Condi­tions apply without restriction to any purchase of tickets offered for sale by SAS WEEZEVENT technology. You are required to read it before any ticket purchase, the choice of the use of WEEZEVENT services being your sole respons­ib­ility. The head office of WEEZEVENT is 14 Rue de l’Est in DIJON (21000) – FRANCE. You can also use this address for contact purposes: 164 Rue Ambroise Croizat SAINT DENIS (93200) – FRANCE. The contract applies to the exclusion of all others, including those applicable to other ticket distri­bution channels. It can be consulted at any time on the WEEZEVENT website and will prevail over any other version or any other contra­dictory document. Unless proved otherwise, the data recorded in WEEZEVENT’s system consti­tutes proof of all the trans­ac­tions that you undertake with WEEZEVENT. WEEZEVENT, 164 Rue Ambroise Croizat SAINT DENIS (93200) – FRANCE. You declare that you have read this contract and have accepted it by ticking the box provided for this purpose before placing an order for your tickets. The valid­ation of the ticket order consti­tutes your acceptance without restriction or reser­vation of this contract. Finally, you acknow­ledge that you have the capacity to contract and purchase tickets offered with the WEEZEVENT technology. This contract is subject to future modific­a­tions. In this case, the applicable version to your purchase will be the one applicable on the day of your purchase. The regis­tration of an order with the WEEZEVENT technology is carried out when you accept these Terms and Condi­tions by ticking the box provided for this purpose and that you confirm your order. In applic­ation of the provi­sions of Article 1127–2 of the Civil Code, the Customer has the oppor­tunity to check the details of the order, the total price and correct any errors before confirming its acceptance. This valid­ation implies the acceptance of the entirety of the present Terms and Condi­tions and consti­tutes a proof of the contract. It is your respons­ib­ility to check the accuracy of the order and report any errors immedi­ately. Ticket sales will be considered final only after WEEZEVENT has sent you the confirm­ation of the acceptance of the order, by email after receiving payment. WEEZEVENT reserves the right to cancel or refuse any order from a Customer with whom there is a dispute over the payment of a previous order. Ticket prices are listed in the appro­priate currency at face value, depending on the case the price will indicate if booking fees and service fees are included or not. A service charge is applicable to each ticket sold. The service charge can be included in or excluded from the price of the ticket. When the service charge is excluded from the price of the ticket it is also outlined at the beginning of the purchase process with the applicable taxes. For some Events, at the Promoters’ request, you will receive a voucher instead of Tickets. In these situations, unless informed otherwise, Tickets have to be collected in exchange of vouchers at the venue entrance 30 minutes before the Event beginning. All orders, regardless of the country of purchase, are payable in the currency indicated during the order process. 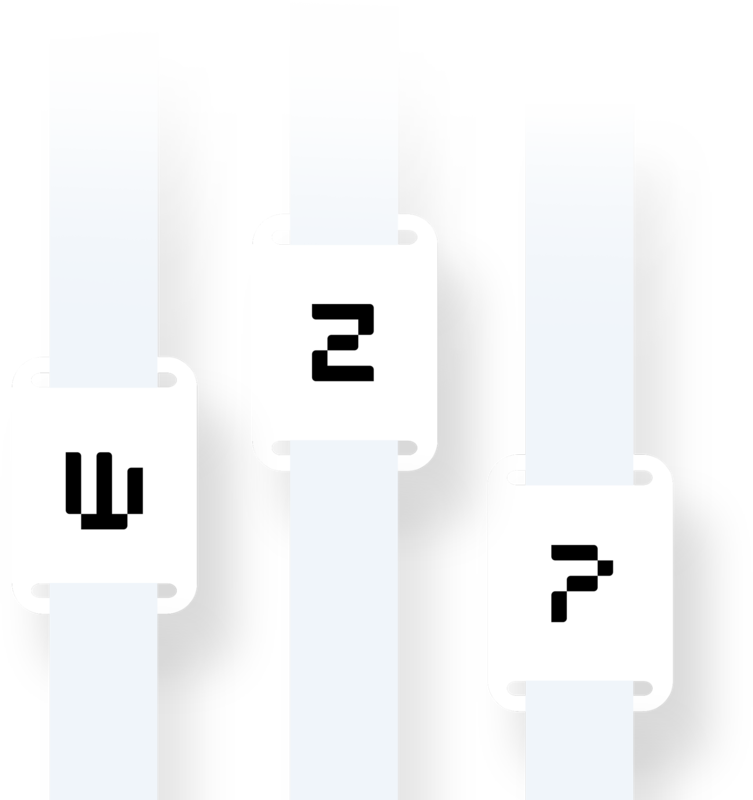 WEEZEVENT reserves the right to change its’ own prices at any time but the products will be billed based on price categories applicable at the time of an order. When placing an order, you are informed in real time, of the avail­ab­ility of desired Tickets. In case of unavail­ab­ility of all or some Tickets from the desired category WEEZEVENT will inform you, then you can buy Tickets in another category, subject to avail­ab­ility. If the number of Tickets you requested exceeds the number of available Tickets in the chosen category or in another proposed category, it is possible that WEEZEVENT will assign you an altern­ative option. It is possible that in this situation your assigned seats will not be together. In any case, you can check the suitab­ility of the Tickets when confirming the order. If seat numbers are provided by the Promoter to WEEZEVENT, and seats are numbered, WEEZEVENT can offer a seating chart during the booking process. This is only provided for inform­ation purposes and has no contractual value. For orders containing value Tickets, trans­ac­tions must be paid by credit card directly. WEEZEVENT accepts payments through bank cards from VISA and MASTERCARD networks and other potential providers mentioned at the payment stage. Your bank account will be debited for the amount of the order, upon final approval of the secured payment method. For credit card payments this will appear in your monthly statement. A proof of purchase – and an invoice in case the Promoter activated this option into the system – will automat­ically be sent to you by email as soon as payment has been completed. If the Promoter allows it, you can also reserve a Ticket by selecting the «offline Payment». In this case, we will only proceed to the booking regis­tration: you will have to make payment directly to the Promoter under the terms set out by the Promoter. To be valid, Tickets must not have been rejected or remained unpaid on the payment card used for the order, in which case the barcode will be disabled: you will not be able to access the Event. The debit from the payment card is independent from the printing of the tickets. In any case the Tickets will be considered paid even if the customer does not print them. WEEZEVENT uses all reasonable and available technology to make its online payment system as reliable as possible. The confid­en­ti­ality of bank inform­ation is guaranteed and secured by SSL protocol which system­at­ically controls the validity of access rights when paying by payment card and encrypts all exchanges. For such payments, WEEZEVENT uses the CIC bank’s payment solution. Upon confirm­ation of your order, unless told otherwise during the order, you will receive an email with the digital Ticket (in the body of the message or in attachment) to be printed at home on A4 paper. Each Ticket has a unique barcode that allows you to access the Event. Only one person can access the Event with a Ticket. In fact, in case of loss, theft or duplic­ation of a valid Ticket, only the first person holding the Ticket may access the Event. You remain responsible for who uses your Ticket. This Ticket is only valid if printed on blank white A4 paper, front and back. The print size must not have been altered, the impression should be of good quality and all the inform­ation on the Ticket must be readable. Printing can be done in black and white or in colour. Partially printed, soiled, damaged or unreadable Tickets may not be accepted, and considered invalid by the Promoter. A Promoter can also accept other Ticket formats: mobile phone, tablet … These options can be presented, when appro­priate, during the booking process. The Ticket is not exchangeable or refundable. It is personal to you and not trans­ferable without the Promoter’s express author­isation. It is possible that each registered Ticket has the same customer details, namely that of the lead booker. In any case, the Ticket cannot be sold for more than face value stated on the Ticket. WEEZEVENT reserves the right to prosecute anyone offering Tickets for sale for a higher price than their face value. The Ticket is only valid for the specified place, date and exact time of the Event. After the start time of the Event, access to the Event is not guaranteed: in this case, you will not be entitled to any refund. You are advised to arrive at least 30 minutes before the beginning of the Event. Some of the schedules provided by the Promoter may have strict deadlines without any flexib­ility with regards to entry. Anyone who does not comply with the rules and special provi­sions, the general T&Cs, may be refused entry to the event or be expelled without being entitled to refund for their ticket. The Promoter has the respons­ib­ility to ensure the control of Tickets, unless he has delegated this task to a third party. If necessary, the unique barcode and the Ticket’s details will allow the validity of each Ticket to be checked. For named Tickets, the Promoter can always ask for identi­fic­ation at the entrance of the Event location. Therefore, you must provide valid photo ID if you want to access the Event. When setting up the Event, the Promoter may indicate other possible proofs or forms of valid ID to present to the entrance of the Event location. In this case, we will inform you before the Event and the Promoter may request the present­ation of such proofs. You must keep your Ticket or any ticket stub that could have been given to you by the Promoter when accessing the Event for the complete duration of the Event. It is reminded that Promoter is not obliged to verify the identity of the person in possession of the Ticket printed at home, or to verify the authen­ticity of the Ticket printed at home in so far as the copy of the Ticket printed at home cannot be detected with certainty. Also, please note that you are responsible for keeping your Ticket and that access to the Event may be refused even if your Ticket confirms your identity. You will not be entitled to any refunds. It is strictly forbidden to reproduce, duplicate or forge a Ticket in any way whatsoever. The person who repro­duces the Ticket and the user of the Ticket’s copy are liable to prosec­ution. In case of loss or theft, WEEZEVENT is not liable for unauthorised Ticket use. Any lost or stolen ticket is neither exchangeable nor refundable. In case of loss, theft or duplic­ation of the Ticket, please contact the Promoter. In accordance with Article L 121−20−4 of the Consumer Code, the Notes are not the subject of a right of withdrawal. All orders are firm and final. A Ticket cannot be returned, exchanged or refunded even in the event of loss or theft. A Ticket can only be refunded in case of cancel­lation of the Event and only upon the decision of the Promoter. WEEZEVENT operates only at the stage of distri­bution as an inter­me­diary of the Promoter and it is not intended to receive the price of tickets that are distributed by the Promoter. Thus, WEEZEVENT cannot be held to any refund if it is not in possession of the ticket revenue and it cannot replace the Promoter in the frame of his oblig­a­tions. In this context, refunds by WEEZEVENT will only be made if the latter has been allowed to do so by the Promoter. You will be informed of the possible cancel­lation of the Event, its postponement or its modific­ation by the company WEEZEVENT if, and only if, it has previ­ously been informed by the Promoter. We therefore invite you to stay in touch with the Promoter to be informed about the Event. In the event that WEEZEVENT is allowed to make a refund on behalf of the Promoter, only those buyers who have placed an order on the WEEZEVENT website and whose name appears on the Ticket can be reimbursed. - Or if the Promoter has accepted the refund request from the buyers. By purchasing a Ticket with the WEEZEVENT technology, you expressly agree to waive any claim against WEEZEVENT for reimbursement purposes, as WEEZEVENT do not receive the ticket revenue. WEEZEVENT will do everything possible to allow you to be refunded by the Promoter. It is reminded that any decision to cancel, postpone or modify an Event is the respons­ib­ility of the Promoter and WEEZEVENT cannot take the place of the latter. In the event of cancel­lation of an Event, the booking fee will, in any case, be retained by WEEZEVENT. In these cases, only the price of the Ticket will be refunded. You will need to follow the Promoter’s guidelines when you are onsite at the Event. The Rules of the Event may be made available either directly by the Promoter on his website, before access to the Event, or prior to the Event by email from the Promoter. Except where otherwise stated, it is forbidden to photo­graph, film or record during the Event. According to the French Law No.2004–575 of June 21, 2004 Article L 121−20−3 of the Consumer Code, WEEZEVENT is automat­ically liable to the consumer for the proper performance of oblig­a­tions under the contract concluded at a distance. As such, WEEZEVENT is liable to you for the proper Ticket trans­mission and if necessary for the proper payment execution. It is reminded that the choice of the use of WEEZEVENT services rather than another ticket distri­bution channel is your sole respons­ib­ility. WEEZEVENT cannot however be held responsible for the smooth progress of the Event and the good performance of Promoter’s oblig­a­tions including the holding of the Event, compliance with health and safety rules. WEEZEVENT is indeed only acting on behalf of the Promoter as part of a technology provider and you remain entirely responsible for the choice of the Event and the choice of the Organiser. Tickets sales referred to herein are subject to French Law. In case of litig­ation, only the French courts have juris­diction. – And in general, any incident that may occur during the Event. - By postal mail to: 60 rue la Boétie – 75008 Paris. If no solution could be found within the deadline, you can be supported by the E-commerce Mediator, as the final amicable remedy. The personal data that you commu­nicate to us is only in order to allow the realisation of the trans­action and to preserve the proof of it. This inform­ation also allows us to send you the Ticket (s) you ordered and, if possible, to contact you in case of cancel­lation or modific­ation of the date, time or place of an Event for which you would be registered. This inform­ation is by default, the name, surname, e-mail address and telephone number of the parti­cipant and sometimes, depending on the needs necessary for the organ­isation of the Event, the company, the date of birth of the parti­cipant, postal address, a photo­graph, etc. For tracking purposes, the buyer’s IP address and the payment reference number from the bank provider are also retained. - The preser­vation of the proof of the trans­action. You are reminded that the Promoter sets up the Event before the sale of the Tickets. Therefore, the personal data processed is the inform­ation that is requested by the Promoter at this moment. You have at any time a right to access and rectify data concerning you from WEEZEVENT concerning the data that it is required to collect and keep in the context of its own oblig­a­tions (art. 34 of the law «Inform­atique and Freedom «of January 6, 1978). Requests to be sent to: WEEZEVENT – 164 rue Ambroise Croizat, Building Le Verone – 8th floor, 93200 Saint Denis – FRANCE. The website www.WEEZEVENT.com is registered with the French CNIL and has the following regis­tration number: 1291474 (available on the website www.cnil.fr). By valid­ating your order, you agree that WEEZEVENT transmits your personal data to the Promoter. It is reminded that the Promoter informs WEEZEVENT about the data it intends to obtain. Any acceptance of an order therefore implies recog­nition of the trans­mission of the inform­ation provided to the Promoter. In accordance with legal provi­sions, the trans­mission of data is necessary for the proper performance of the contract binding you to the Promoter. As such, WEEZEVENT cannot be held responsible for any use that may be made of this data by the Promoter. You will also be able to exercise your rights directly with the Promoter (right of access, recti­fic­ation, erasure and oppos­ition, right to the limit­ation of the treatment, right to the portab­ility of the data, right of not be the subject of an automated individual decision (including profiling)). Finally, we inform you that we are also likely to transmit your data to our own service providers. In this context, we strive to ensure that our providers ensure confid­en­ti­ality. For all inform­ation or questions, the WEEZEVENT Client Service is available. You will find WEEZEVENT details in the «Contact» section available on the «Home Page» of www.WEEZEVENT.com. WEEZEVENT is a company that offers Event Promoters the possib­ility to create their own ticketing, regis­tration or online invit­ation module for their Events from the website www.WEEZEVENT.com. Corres­pondence office : 164 Rue Ambroise Croizat SAINT DENIS (93200) – FRANCE. Website hosting WEEZEVENT.com: AMAZON AWS, 67 Boulevard du Général Leclerc CLICHY (92110) – FRANCE. By valid­ating the order, you accept the order as well as the entire T&Cs herein without reserve. The data registered by WEEZEVENT consti­tutes proof of the entire trans­action that occurred. You also accept the general terms that the Promoter could have commu­nicated to you which complete the present T&Cs. These Terms and Condi­tions and the provision of the Services to you are governed by the laws of France. Recog­nising the global nature of the Internet, you agree to comply with all local rules regarding online conduct and acceptable Content. By way of illus­tration and not limit­ation, you agree to comply with all applicable laws and regula­tions (foreign and domestic) regarding the trans­mission of technical data exported from France or the country in which you reside. These terms and condi­tions are trans­lated from the French version which is the reference in case of any dispute.